On February 15, 1879, President Rutherford B. Hayes signed a Bill allowing women attorneys to argue cases before the Supreme Court of the United States. Although this bill represented a major advancement towards the political equality of women in the US, women still could not even vote in every state and were under many other serious legal limitations. The first woman in the United States to earn a degree in the law was Ada Kepley in 1870, graduating from Union College of Law in Chicago (now Northwestern University). That same year Esther Morris became the first lady judge in the US, becoming a Justice of the Peace in Wyoming. Oddly enough, Morris got the job when her predecessor quit because of women getting the right to vote in Wyoming! In 1872, Charlotte Ray became the first African American woman admitted to the bar anywhere in the US when she became a member of the bar in Washington, D.C.
A drawing of Charlotte E. Ray (January 13, 1850 – January 4, 1911), the first African American female lawyer in the United States. All was not progress on the march to women’s rights in the world of law, as the 1873 Bradwell v. Illinois Supreme Court case shows, confirming the right of states to legislate that women cannot practice law in a state. Of course, for the next few decades attempts at women’s suffrage also kept failing in the legislatures, Congress and the courtroom. In 1879, Belva Lockwood was admitted to the bar of the Supreme Court of the US (SCOTUS) after previously having been denied the right to practice because of “custom.” Apparently, some people thought “custom” was superior to “the law.” Despite earning the right to become a member of the Supreme Court Bar, Lockwood is denied membership in the Virginia State Bar, and that exclusion is upheld by the Supreme Court. In 1897, Lutie Lytle, an African American woman, became the first University law professor in the US when she was appointed at the Central Tennessee College of Law. In 1898, the Washington College of Law was established for female law students, later incorporated into American University. In 1920, the 19th Amendment was passed, giving women the right to vote in the US. In 1928, Genevieve Cline of Ohio became the first female Federal Judge, appointed to US Customs Court. In 1934, Florence Allen became the first female Appellate Judge, appointed by President Roosevelt after serving on the Ohio Supreme Court. Another milestone on the Federal Court scene came in 1949 when Burnita Matthews was appointed as a US District Judge, the first Federal Court trial judge position occupied by a woman. In 1981, a massive milestone was passed when Sandra Day O’Connor became the first woman to sit on the Supreme Court. Appointed by President Reagan, O’Connor, retired in 2006, has been followed by 3 other women Supreme Court Justices, all of which are presently serving. The first woman to serve as Attorney General of the United States was Janet Reno, taking office in 1993 and serving until 2001. 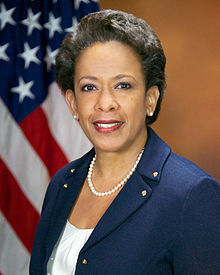 She has been followed by Loretta Lynch, serving from 2015 to 2017. Today women in the field of law are no longer a rarity and are commonplace serving without any undue notice just by being female. Recent statistics show women make up a third of all Federal judges and slightly over half of first year law school enrollees, and again slightly over half of all graduates awarded their JD. Women lawyers currently make up a bit over a third of all members of the bar in the US, but only 27% of state judges. Another disappointing statistic is that women attorneys still make considerably less money than their male counterparts ($1914 per week for men vs. $1717 per week for women, as of 2015). Men also make up about 75% of corporate attorneys. As the old 1970’s ad jingle used to go, “You’ve come a long way, Baby!” Well, at least if you are not insulted by being called “Baby!” Obviously, as more women become part of the legal universe in the United States and around the world, their influence will certainly help advance the cause of Women’s Rights. Do you have any legal related tales of women in the law to share? If so, please tell us about your experiences. Epstein, Phyllis. Women at Law: Lessons Learned Along the Pathways to Success. American Bar Association, 2004. Schneider, Wildman. Women and the Law Stories. Foundation Press, 2011. Previous ArticleFebruary 14, 1400: Another Lousy King Bites the Dust! Next Article February 15, 2018: School Shooting in Florida Leaves 17 Dead, What Can We Do?